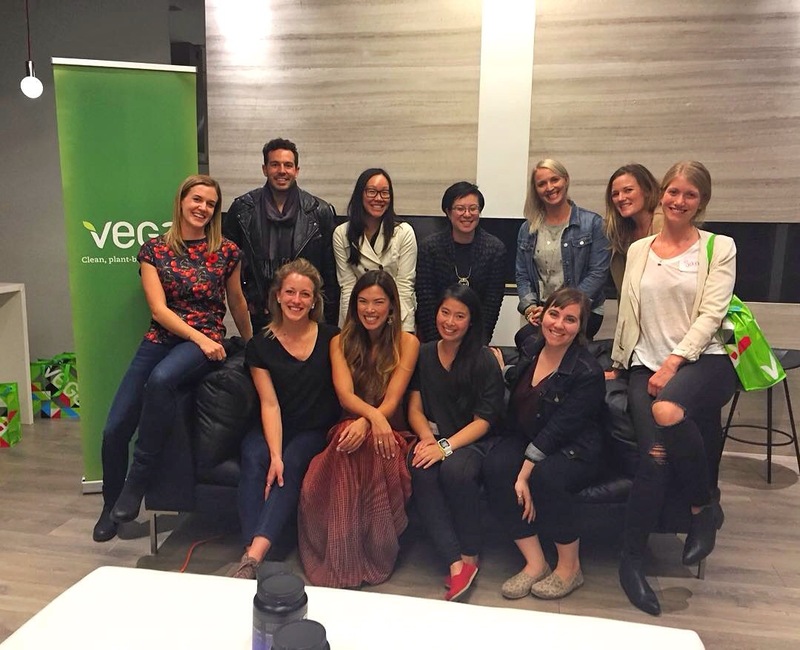 Last Thursday, I was invited to attend an event hosted by Vega called a Community Influencer event. It was described as a night filled with ideas, insights and community connection. I wasn’t sure what to expect, but I was intrigued and excited for the invitation! The group that evening was small but filled with interesting individuals. There were yoga instructors, a triathlon coach, nutritionists and then me – a runner and blogger. It was an impressive group to be a part of! 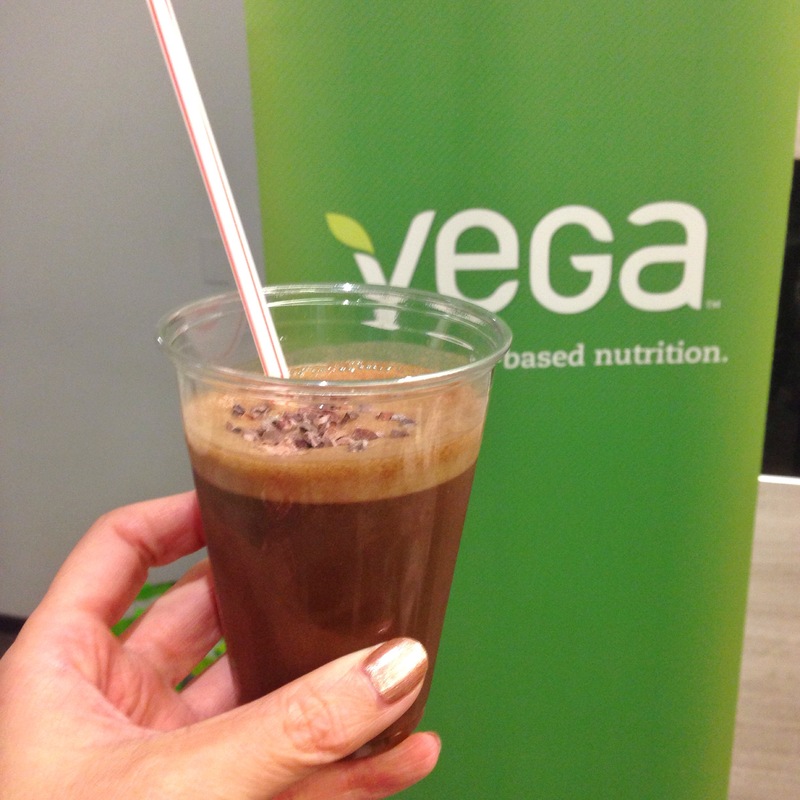 The evening started off with a delicious assortment of munchies from Yamchops like vegan sandwiches, kale salads, and desserts, Jax Sport coconut water, and a tiramisu flavored protein smoothie made with Vega Sport protein of course. It was a healthy and extremely delicious spread! After a quick round of introductions and an ice breaker game, we sat down for the main presentation. 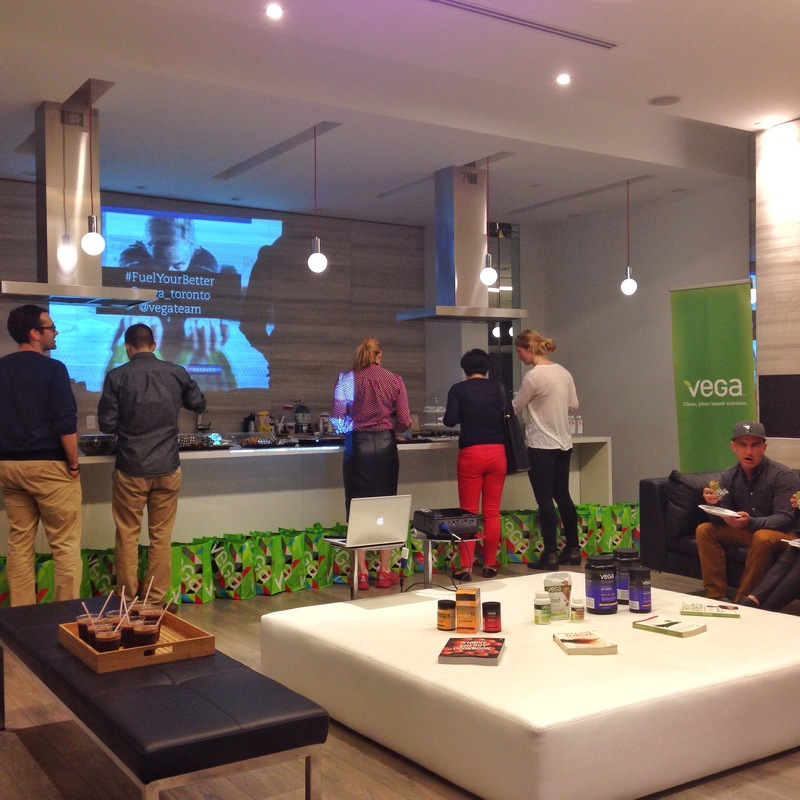 Emma Andrews, Vega’s National Educator and a holistic nutritionist talked about the importance of post workout recovery for athletes and covered topics such as inflammation reduction, immune and hormonal systems support, rehydration, muscle glycogen replenishment and soft tissue repair. Emma also talked about some of the foods and nutritional supplements that would help with each area of recovery. I thought I knew the fundamentals of recovery, such as consuming a source of protein within an hour after a workout. That’s pretty basic right? I was surprised to learn that post workout snacks should have a ratio of 4:1 – carbohydrates to protein; consuming more protein wasn’t necessarily helpful in rebuilding muscles. Chocolate milk is what most of us would reach for after a workout as it fits the above ratio. I was also surprised to learn that chocolate milk wasn’t always ideal as it can contain questionable ingredients such as fructose and dairy can be an allergen or difficult to digest for some. Consuming plant-based sources such as a nut butter with apple slices would meet the suggested ratio and help speed the recovery process. I also learned that rehydration involves more than just replacing the water lost as sweat during a workout, we also need to replenish the body’s supply of electrolytes. More than just sodium, the body needs minerals such as potassium, magnesium, calcium and even chloride to maintain heart, muscle and nerve functions. Low electrolyte levels could cause muscle cramps or light-headedness in extreme cases. But the topic I found most interesting was that of soft tissue repair. It turns out that it’s different from muscle repair, and maintenance of joints and soft tissue health is an ongoing process. Foods such as hemp hearts and chia seeds, warming spices such as ginger and cayenne and a supplement like glucosamine could all help in reducing joint pain and improving circulation. I was glad to know that several things from that list were already a part of my diet. 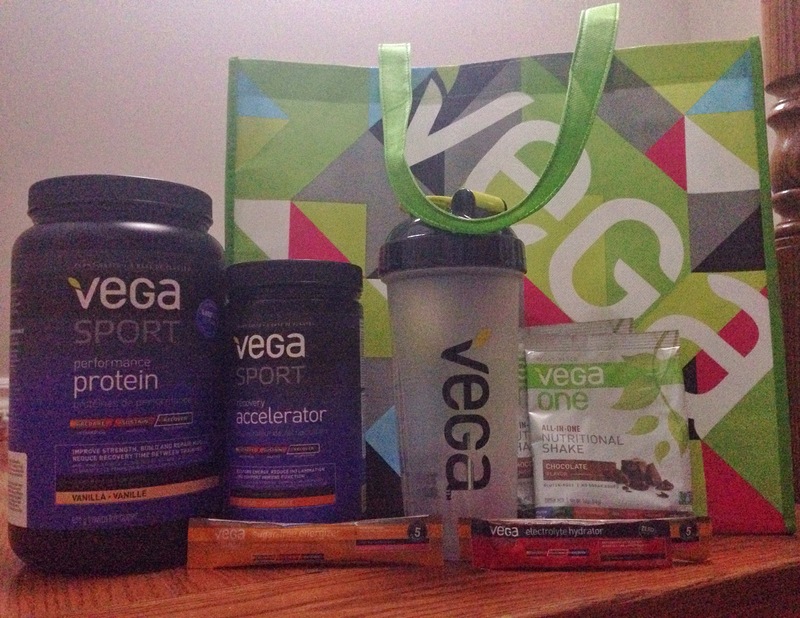 Following the presentation, we were given a bag of goodies that included Vega Sport Protein Powder, a couple of sample packs of Vega Sport Electrolyte Hydrator, and a shaker bottle. Very cool! A big thank-you to Vega and Carmy for the invitation! It was an incredible event and I learned plenty of valuable information that I plan to incorporate into my training for the upcoming season.